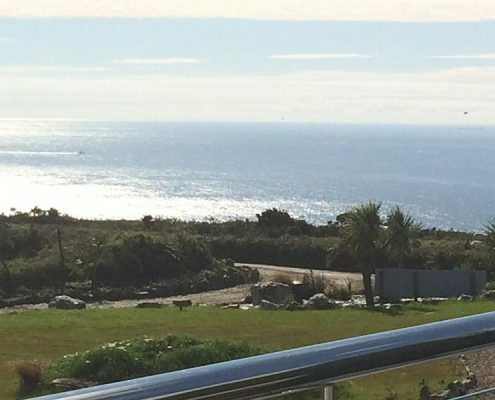 Ocean Reach holiday homes and apartments are beautifully presented and furnished with incredible 360-degree coastal and countryside views. For more than 180 degrees the unhindered view is of the South Devon Heritage Coast. The near view is over Burgh Island, Thurlestone and Bigbury Bay, while on clear days it is possible to see the Lizard Point in Cornwall, around 70 miles away. For those seeking a high quality holiday home in a sensational and tranquil setting with outstanding views, while close to the charm and bustle of Salcombe, Ocean Reach is perfect. The South West Coast Path, which covers 630 miles in total, is less than 100 yards away and locations like Soar Mill Cove and Hope Cove are within easy walking distance. The on-site Oceans Restaurant, with the rather special option of having your meals delivered, completes the package at Ocean Reach.